A popular variety of Taiwanese folk art, golden light puppetry is still performed today. 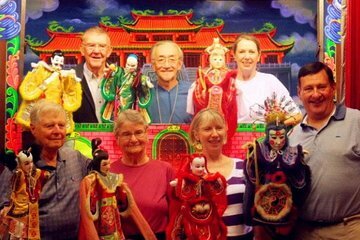 Get to know more about the art form when you attend a lively, small-group puppet show, and even take a turn yourself: this family-friendly outing is the perfect way to immerse yourself in traditional Taiwanese culture. Pick between afternoon and evening performance times, and come ready to enjoy the show.